Located in the heart of Uttar Pradesh, Agra is home to the splendid monument-The Taj Mahal. This spectacular city is immersed in history which allows travelers to soak into the beauty of monuments, tombs and mausoleums. Taj Mahal is one of the most excellent examples of Mughal architecture. Above and beyond Taj Mahal, there are Agra Fort and Taj Mahal that are listed as UNESCO World Heritage Sites. One of the must do things in Agra is a replica of the Taj Mahal made in marble. 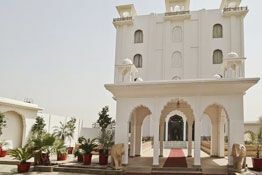 For someone looking forward to experience a seamless blend of Mughal heritage and modern comforts, there is no better idea other than staying at heritage hotels in Agra. 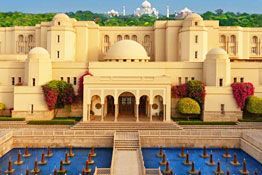 These hotels offer you the best of regal splendor and traditional Indian hospitality. 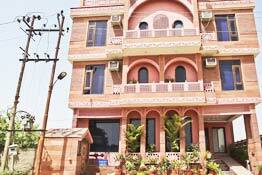 If you want to taste the essence of this Mughal city, step into the comforts of the heritage hotels and heritage style hotels in Agra. 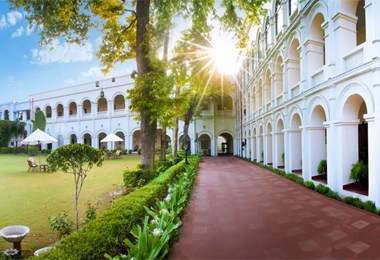 One of the major names in the list of heritage hotels in Agra is the Grand Imperial, a 100 year old heritage hotel which is built entirely of Lahori bricks and has played host to several distinguished guests.